As the world�s largest manufacturer of window films, we provide a comprehensive specification service to ensure full compatibility with your required end use. If you wish to prepare a performance specification, or wish to include Llumar window film in a standard contract document, we can provide standard specification clauses to help you. Installation work programmes will be planned in accordance with your requirements in order to minimise disruption to building use. The installation team will require no resources on site other than water and limited waste disposal. It is essential that working conditions are provided that allow for high quality installation. Windows and doors must be kept closed wherever possible. Dust or particulate-producing trades must not work alongride or nearby window film installers. For internally-applied window films, the client will be responsible for the provision of access to the windows and temporary removal or covering of furniture, blinds etc. The client must ensure that all glass to be treated is reasonably clean and free from stickers. The installer will be responsible for final cleaning of glass prior to installation of the window film. For externally-applied window films, the installer will provide all access requirements, eg scaffolding, cradles etc. The installer will take all reasonable precautions to avoid damage to adjacent wall and floor coverings, and will leave the working area as clean and tidy as he found it. 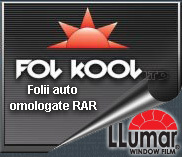 For Llumar safety films, 20-30 days will be required after installation for the adhesive to reach its full strength. This is normal for films of this generic type. Improved product safety performance will normally be achieved within a few hours of installation. 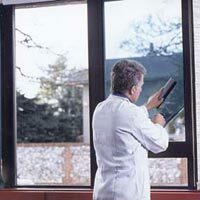 LLumar window films generally require no maintenance, other than routine window cleaning through their normal lives with soapy water. Wait until 30 days after installation before cleaning for the first time.